In a small bowl, mix together the yogurt, lemon juice, paprika, garlic, ginger, cumin, cayenne pepper & cinnamon. 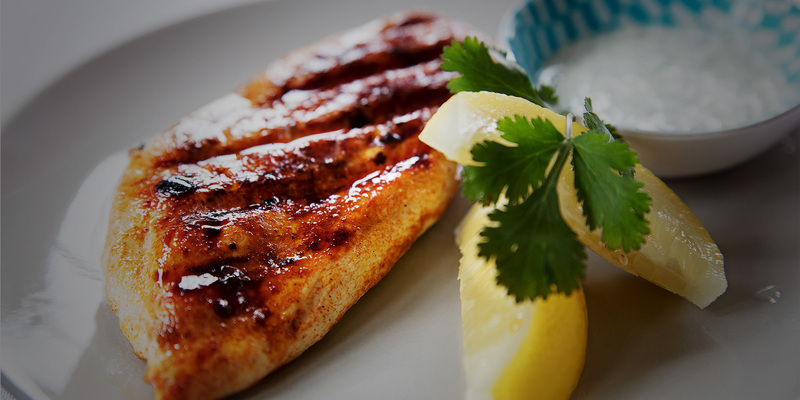 Place the chicken breasts in a dish & pour the marinade over the pieces, turning to coat thoroughly. Cover tightly & refrigerate for 1–8 hours, turning occasionally. Place the chicken on a preheated grill for 5-7 minutes.